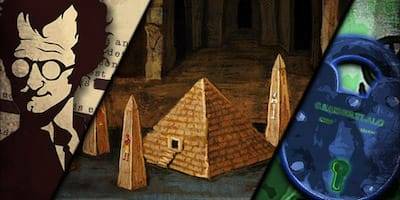 The done-for-you escape room adventure kit that transforms your space into an ancient Egyptian mummy’s tomb … complete with puzzling puzzles, mysterious messages, spooky stuff, and ancient organs! Is your crew brave enough? Then download, print and party today. When there are ancient civilisations and lives on the line, we believe in completely preparing our explorers … post-haste! Which is why you’ll get a ready-to-go kit with 21 printable puzzle sheets and everything you need to get adventuring, fast! Worried about getting stuck during your escape room set-up? Never fear, your magical instructional guide is here! From download to print and play, your set-up instructional guide will be there to ensure you’re the most successful escape room host in the empire. What’s a game without players? (The answer is: Not something you’ll have to worry about – ‘cos you’ll have plenty!) 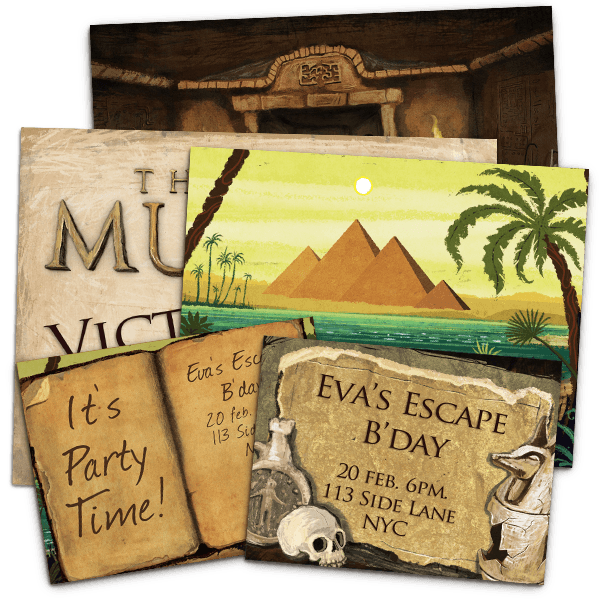 With a collection of over 30 editable posters and kid’s birthday party invitations, you’ll be sure that your ancient mummy’s tomb will be packed with players! #4: Make your party even more special by customising it! Want to make a special someone feel a little more special by adding their name into the challenge? We’ve got you, friend. 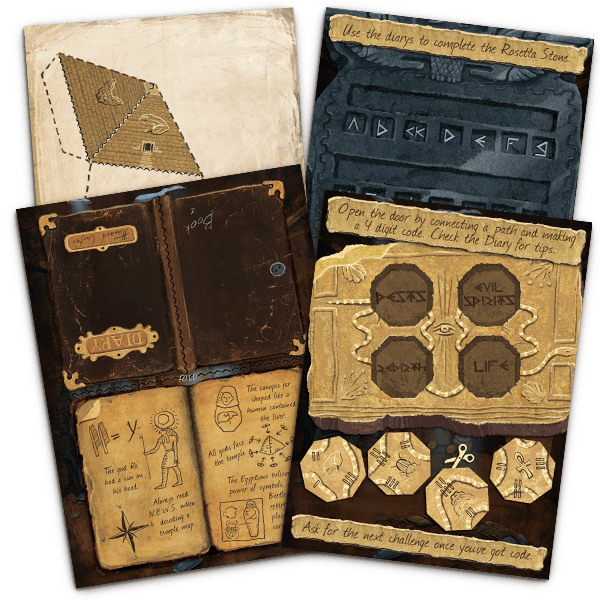 The Lost Mummy kit comes in a fully editable Builder’s Kit in PowerPoint form, so you can easily make as many changes as you like! Now your party will feel like they’re starring in their own Indiana Jones sequel, with a themed Spotify playlist that turns up the suspense and amplifies the adventure. Warning: May provoke goosebumps and involuntary bursts of daring awesomeness. It's totally risk-free in every way. No joke. 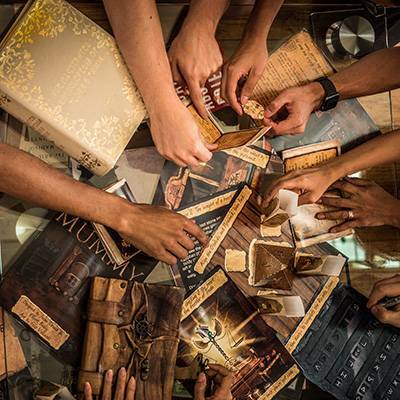 We’re pretty sure you and your players are going to love your escape room kit. But if you don’t worship it, or it’s not what you’re expecting, just send us an e-mail and we’ll give you a full refund. No conditions. And zero bull. "... it was a hit!With the editing tools we could easily simplify clues." "... the problem-solving, teamwork and collaboration was amazing!" A smiling digital support team ready to trouble-shoot and help you every step of the way. We’re not serious about a lot, but there's one thing matters more than anything to us: Your experience with us. Which is why no matter what questions or challenges you face with your escape room kit, we’ll be there to help. Simply message us on Facebook or give our e-mail wizards a message on our contact page. You're Paying it Forward by helping someone in need escape poverty. Since everyone matters, $5 from your purchase will be donated to help kids and communities escape poverty. Woohoo! Our founder personally visited the Project Justice team, in Thailand and Laos, and had the privilege of witnessing the life-changing power that local teams supporting local communities can make. 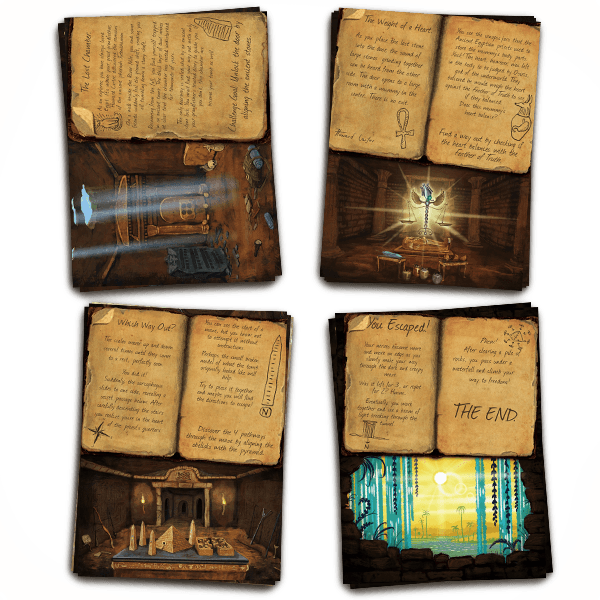 Now, you can be part of that same story just by purchasing any of our fun escape games. Take your students on an immersive educational experience like none other. Shelve the textbooks and clean off the whiteboard. 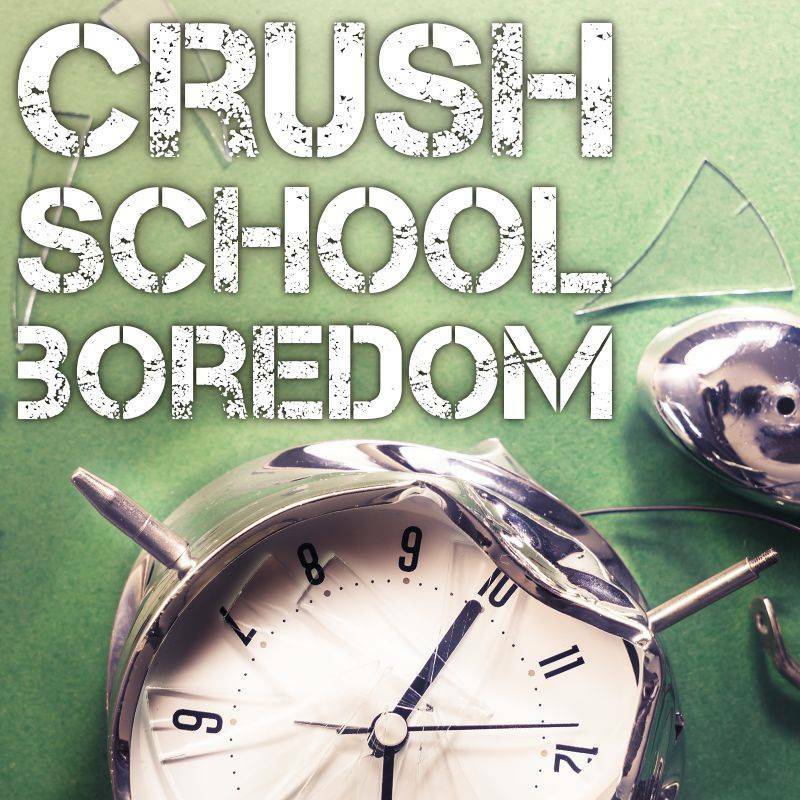 Get your students really engaged (and secretly super educated) with your escape room kit! 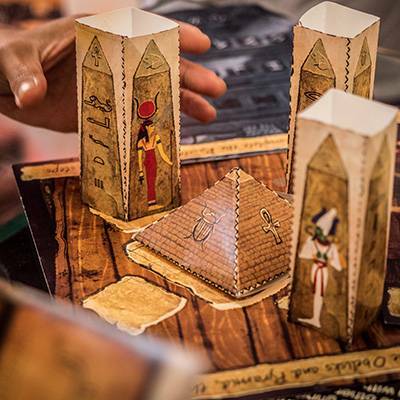 The Classroom Escape Room pack even comes with an entire week of lessons focused on Ancient Egypt. Here comes your ‘Best Teacher Ever’ award! 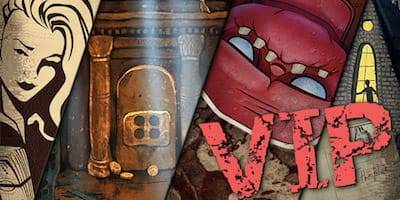 The Lost Mummy is part of the Classroom Escape Room Pack which comes with an entire week of lessons based around ancient Egypt. "It was so funny to see where their minds would go when trying to figure things out!" "Families had a blast finding their way out! We used real locks, added a few other touches, and made some of the pieces bigger!" So, what's the storyline and how does the game play out? The sun was shining, the pyramids were pumping, the cats were ruling over the realm and then – crash! You fell into a tomb. Ouch. The only way to escape? 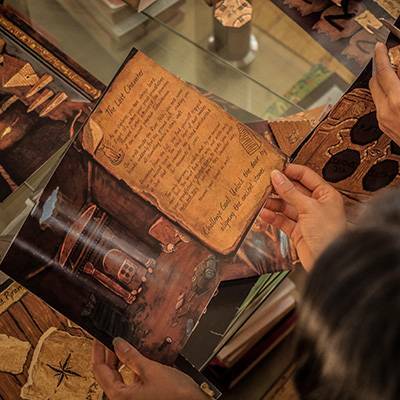 By solving the mystery of The Lost Mummy! 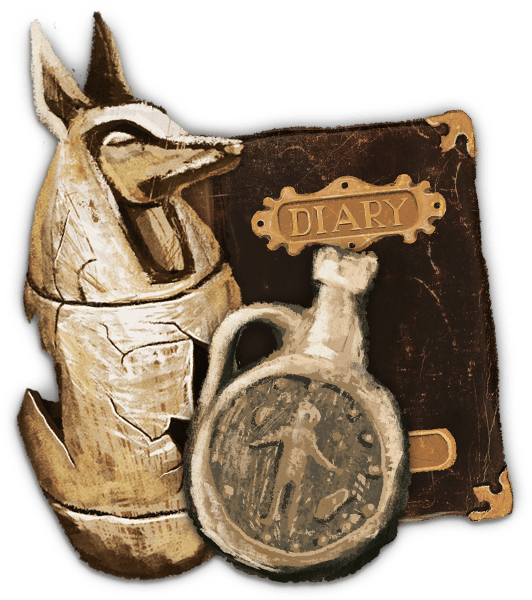 Guided by your wits, logic, puzzle-solving skills, exceptional good looks and your grandfather’s ancient diaries (yep, they exist! ), you’ll play in a team in a race for King of the Hill. 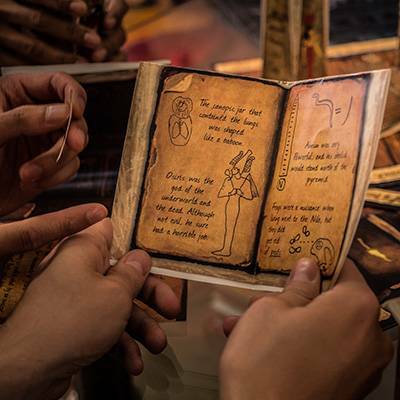 Beginner-friendly and suitable for ages 10 to 12, The Lost Mummy is the perfect party game for big groups, small groups, school classrooms, kids’ birthday parties, camps and even your office party! It takes around 45-minutes to complete and is totally scalable, so you can play with six or sixty adventurers! There’s zero equipment required and it’s super easy to set up – just download your kit, print at home, work, your local office store or even Amazon, and play! You split your group into teams of six players. It’s a race to finish first! As the host, your job is to hand out the first challenge and get them to come to you with their answers. First team to complete the quest and escape, wins! Cue the podium finish, celebratory dance party and victory selfies! Sit back and savour being the game host of the century. Ready to unleash your inner tomb raider? 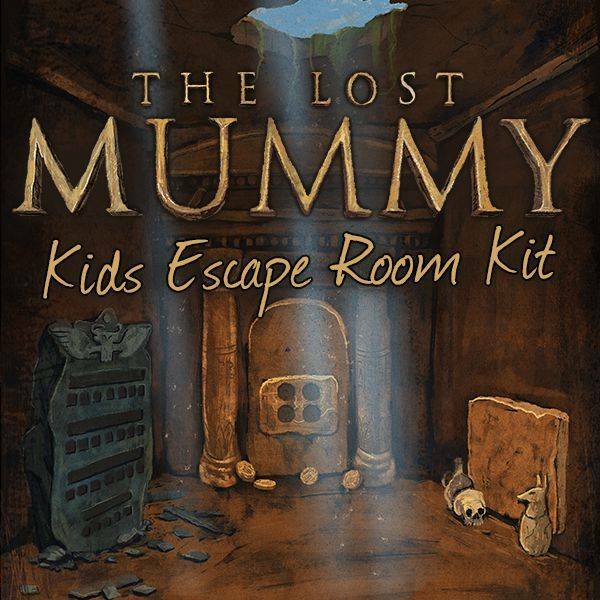 Purchase, print and party with The Lost Mummy escape room kit today for just $29. 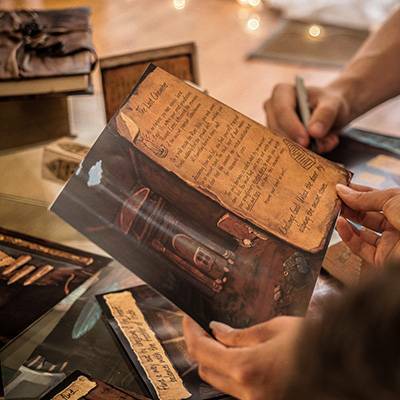 A complete kit with everything you need to host your own escape room challenge. All the grunt work has been done for you! 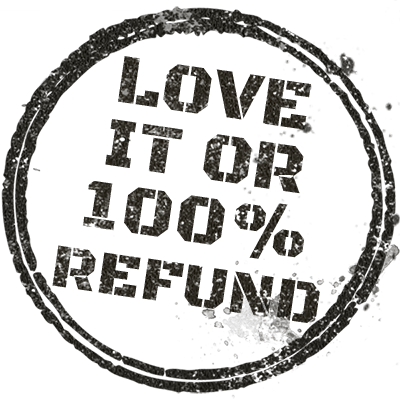 Totally risk-free with a 100% money back guarantee. Or, buy several kits in a bundle and save big! 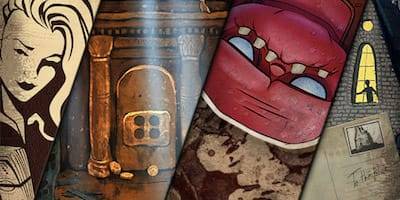 5x party escape games for adults, kids, and work mates. Lifetime FREE copies of all our future games. Boom!